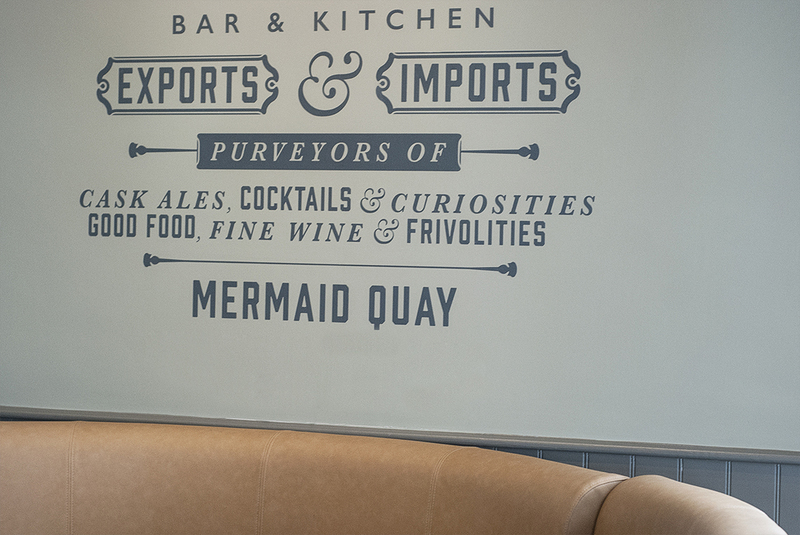 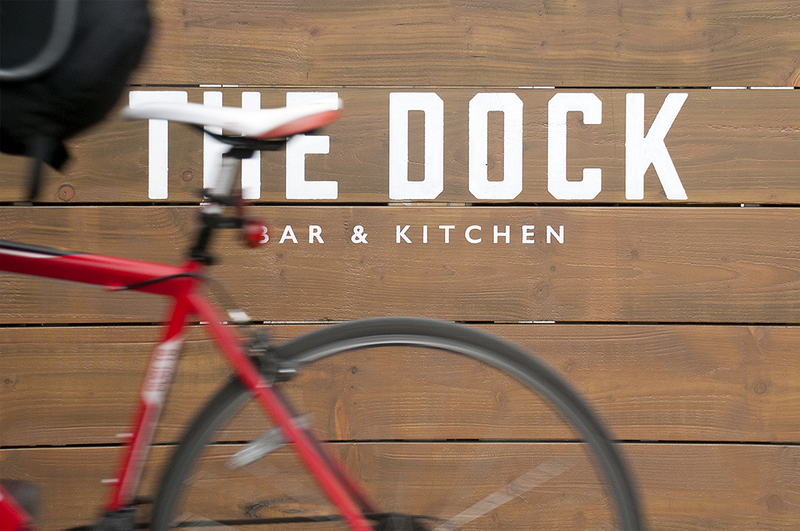 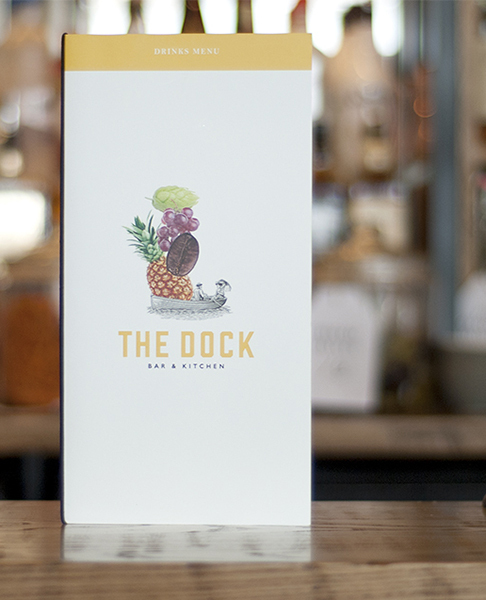 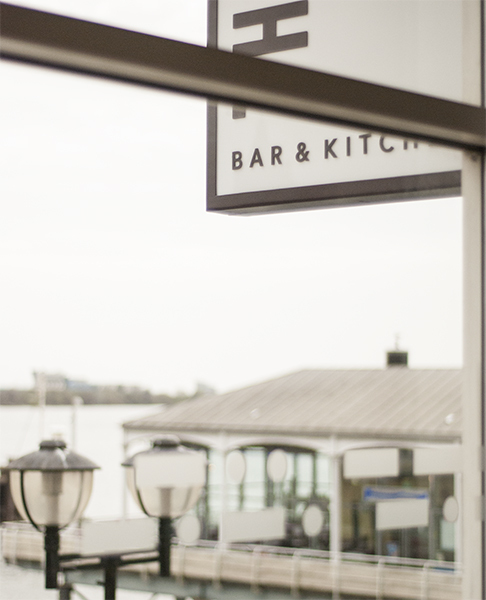 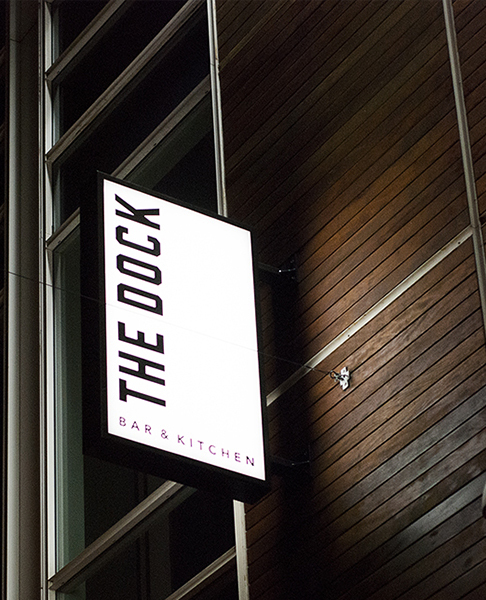 Influenced by Cardiff Bay’s multicultural, cosmopolitan vibrant history and the dock from which cargo was shipped to and from countries across the world, The Dock offers unique world flavours and discovery dishes in a contemporary atmosphere suited to casual dining and drinking. 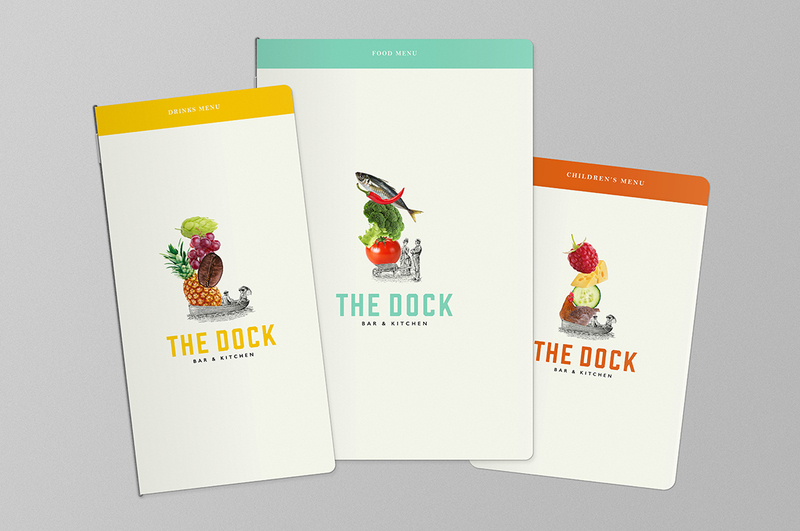 Inspired by John Masefield’s Poem “Cargoes” ‘a poetic homage to Cardiff Docks’ we created a selection of Victorian style illustrations of dock folk combined with disproportionate images of their freight quirkily suggestive of the richness and diversity of the bay’s history. 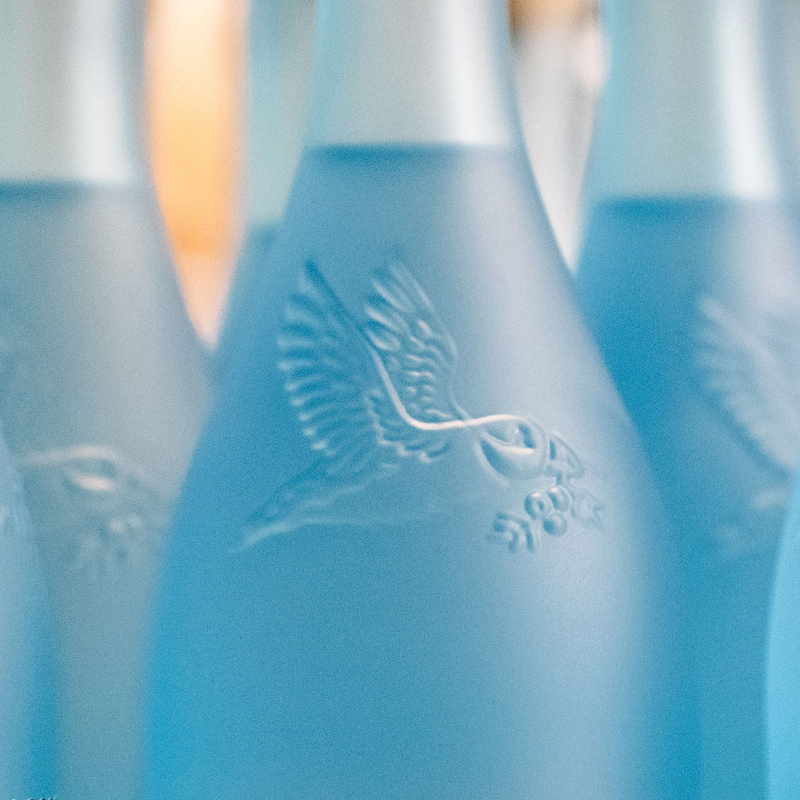 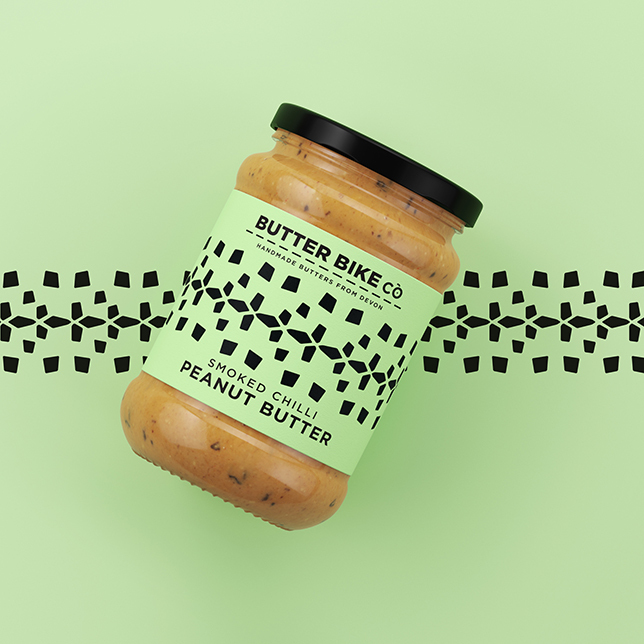 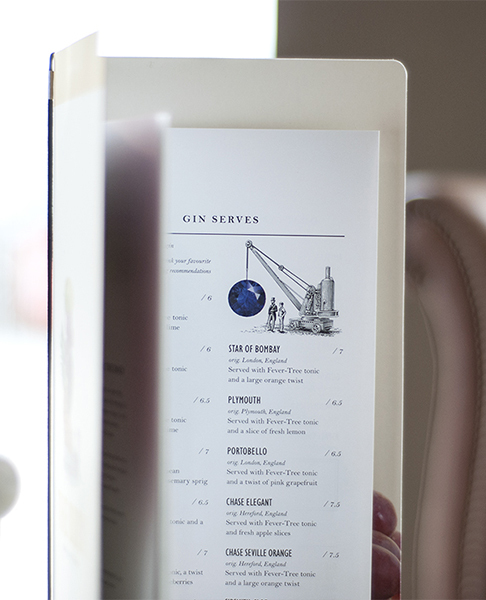 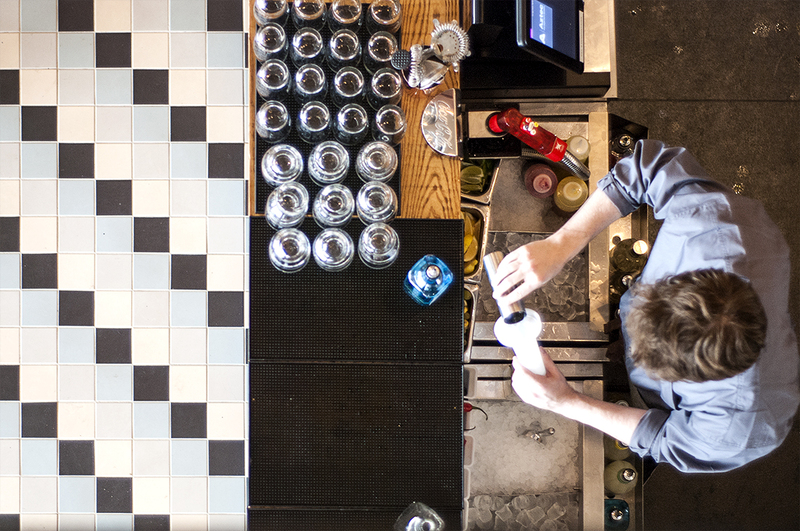 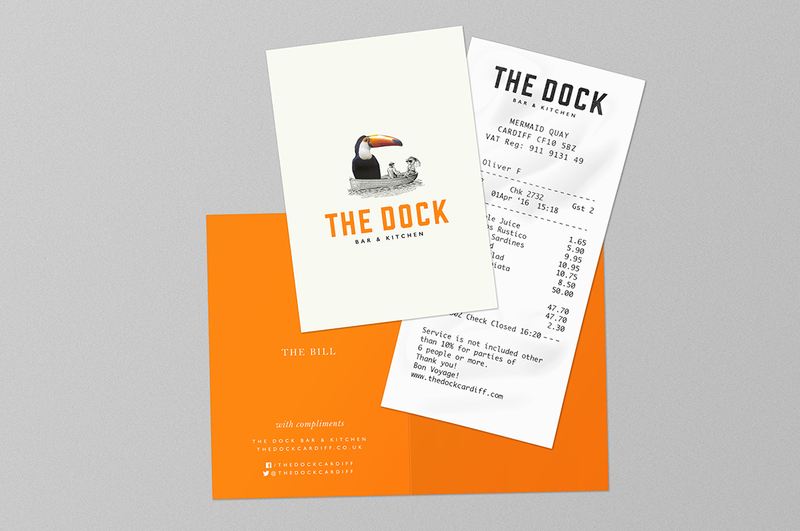 This idea and aesthetic is translated across all menus, signage and brand touch points throughout the bar. 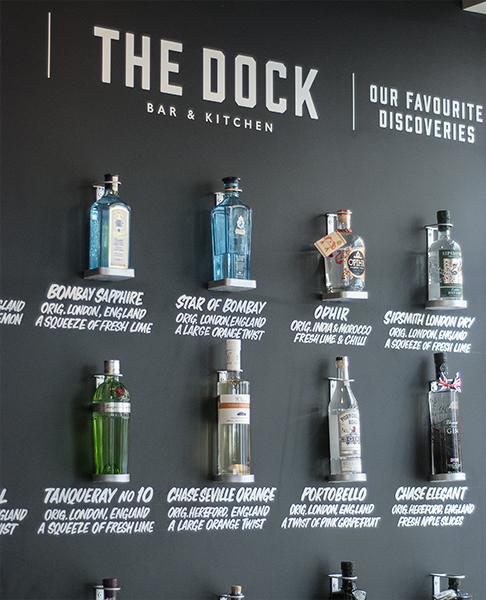 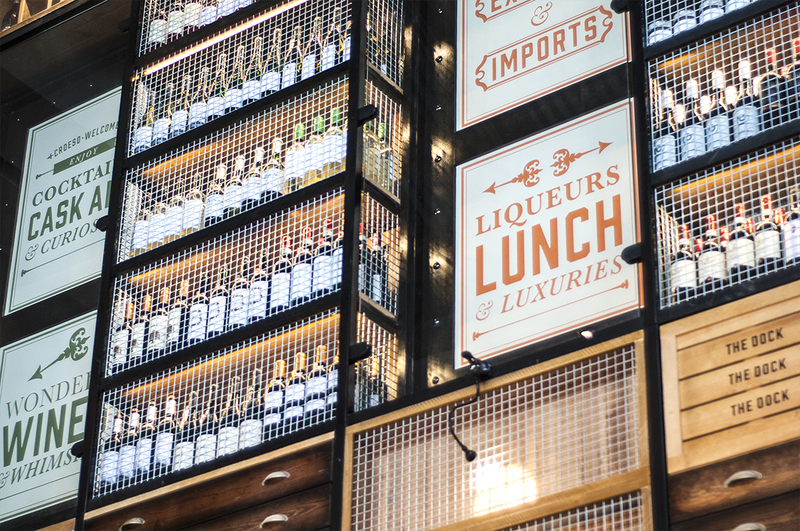 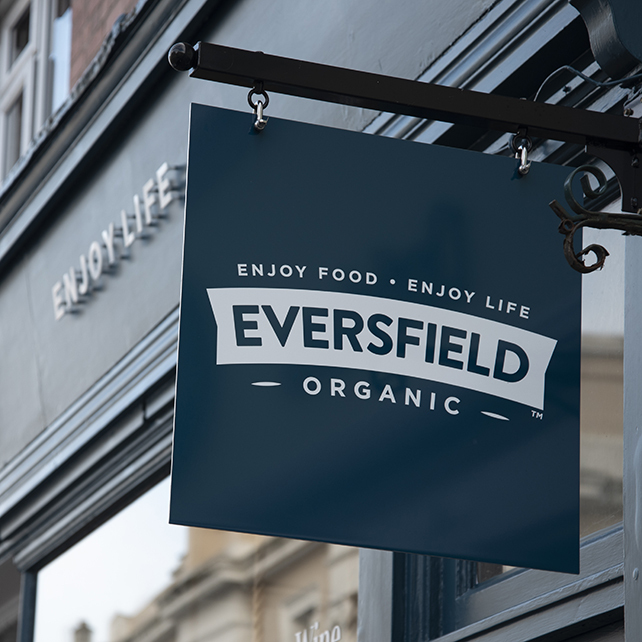 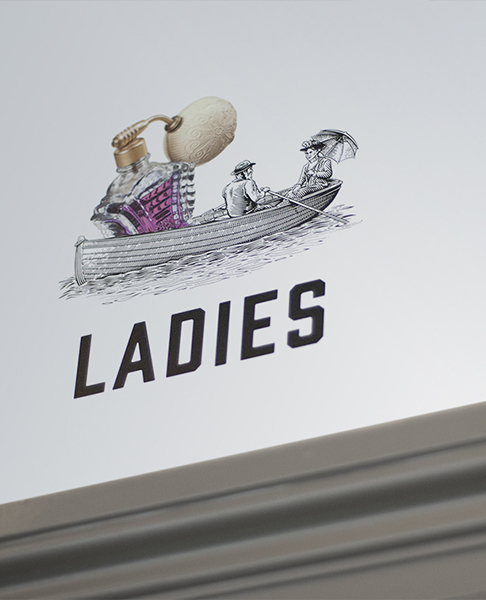 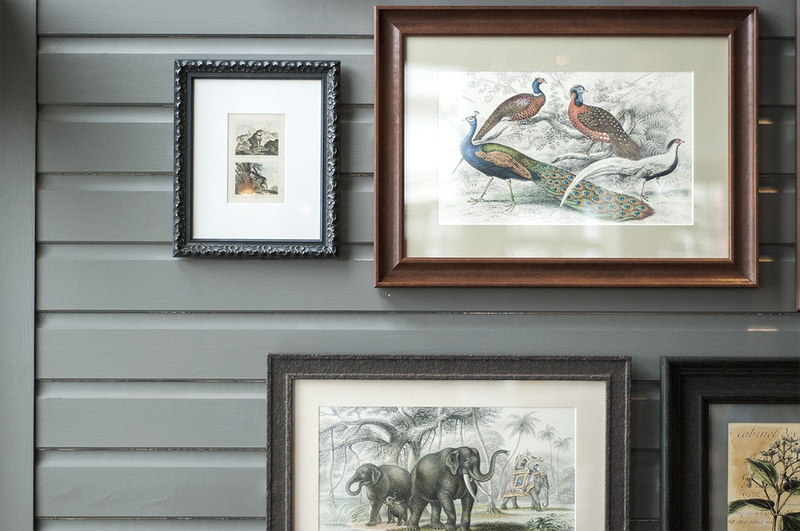 We worked on style guides for the interior materials, finishes and subtler brand touch points such as the eclectically framed images of the cargoes from Masefield’s poem and the sign-written ‘gin discovery’ wall.